Mt. Hood Salmon Riverfront Three Bedroom! 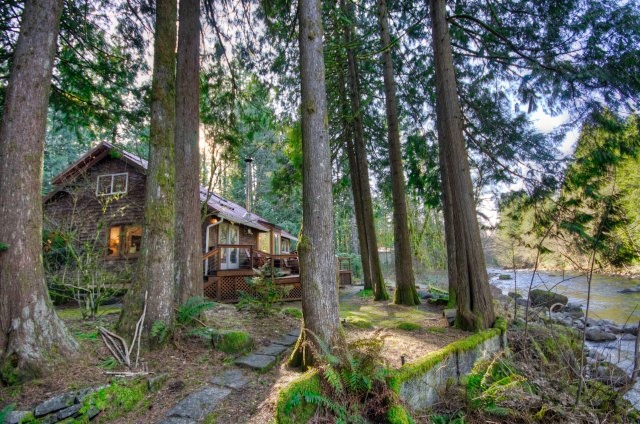 Rarely available to the market, this three bedroom two bath home has a "10" location right on the Salmon River. The property sits on over a half acre in Brightwood close to all Mt. Hood recreational activities. You can nearly fish off your back deck in this spot and it's just up river from a premium fishing hole on the mountain. Open floor plan makes this a great home for full time living or your weekend getaway! Bonus loft is upstairs for extra guest and bunkbeds. Two car detached garage currently used as a game room and storage. Hot tub and stone patio for outdoor barbeques just steps from the river. Only 20 minutes to premium ski slopes and a short distance to the Sandy Ridge Mountain Biking Park! The Mt. Hood National forest is just down the street for tons of hiking. Excellent vacation rental history. It's only one hour from Portland!